On-Demand CRM is a marketing term. In the software market, the term "on-demand" has come to mean anything you can access via the internet without having to install an application onto your local network or desktop. In this sense, any web-based application can be referred to as "on-demand." Salesforce.com has tried (with quite a bit of success) to make this into a primary selling point. The idea is that if a software product is "on-demand" then it requires less technical expertise to deploy and adopt. This is debatable, but generally holds true. The opposite of on-demand CRM would be any CRM product that required an installation, and therefore possibly require hardware/infrastructure and technical skillsets. While the concept of on-demand CRM may have some benefits, the real business value for any CRM deployment is going to be dictated by how well-planned the workflow and business processes are, how effective change-management is, and the degree to which the application is adopted by the intended end users. 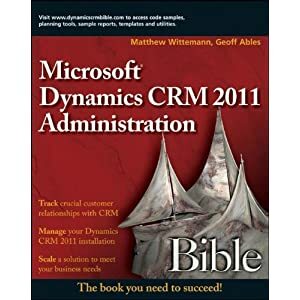 With Microsoft CRM 3.0 installing in 10 clicks (in a clean install) and potentially available as a hosted offering, the benefit of competitive applications' claims to being "on-demand" are probably substantially diminished. Speaking of Salesforce.com... Does anyone know how to make the search function in MS CRM v3.0 work more like Salesforce.com - which searches virtually all fields on every object type (and even intelligently parses phone #'s for queries!) somewhat like how an Internet Search Engine searches?